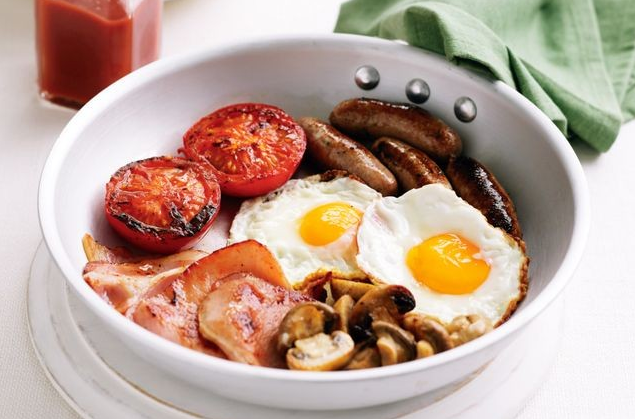 The Campfire Scrumptious One-Pan Breaky! Spoil someone special with all their breakfast favourites. Best of all there’s only one-pan to clean up afterward! Step 1: Heat oil in a large frying pan over medium-high heat. Add sausages and bacon. Cook for 3 to 4 minutes or until sausages are almost cooked though. Step 2: Add mushroom and tomato to pan. Cook for 2 to 3 minutes or until mushroom is tender and sausages cooked through. Push sausages, bacon, mushroom and tomato to 1 side of pan. Crack eggs into pan. Cook for 3 to 4 minutes or until cooked to your liking. Season with salt and pepper. Serve with toast and sauce. Are you for real here??? You need to a recipe for this?im the worlds worst cook but I can manage to chuck what’s required into a pan (one pan) and try not to burn it. You must have nothing better write about. Pleeease.